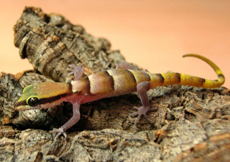 In 1880 the genus Tropiocolotes was established by PETERS, it includes 11 species and about as many sub-species, which are divided into three sub-genres (Tropiocolotes, Asiocolotes, Micro Gecko). These are interpreted by the author as independent species. 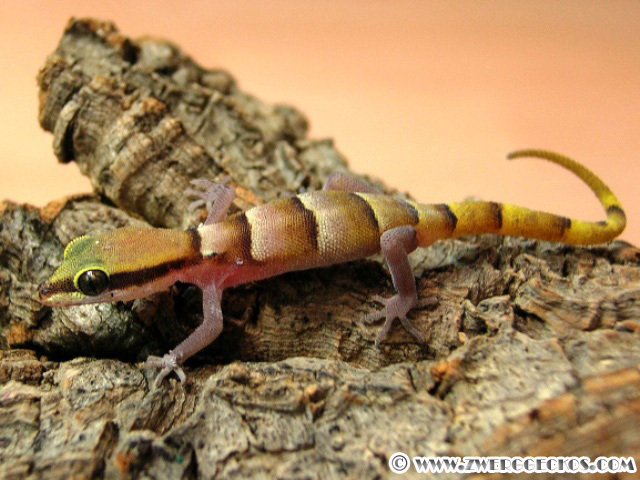 The genus name Tropiocolotes is derived from the Greek words tropion for "kleiner Kiel" and colotes, askalabotes for "Gecko". This refers to the clearly keeled scales of the Tripolitanus tropiocolotes, after which the genus has been described. Tropiocolotes are found in North Africa, from the Atlantic coast, spreading on the Arabian Peninsula to Pakistan. 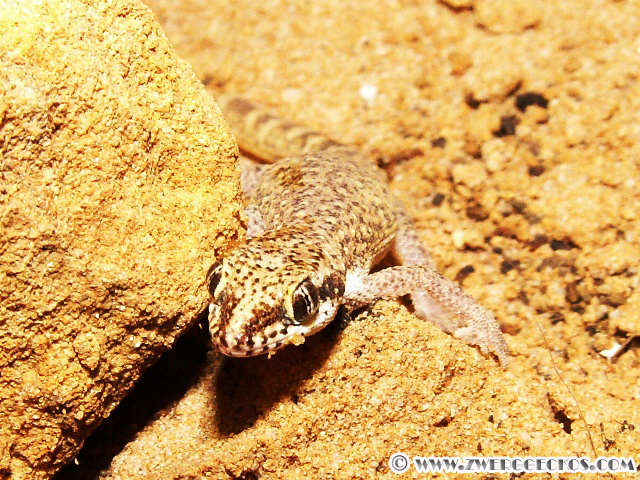 The species in Asia are assigned to the subgenera Asiocolotes and Micro Gecko, the North African representatives belong to the subgenus Tropiocolotes. All members of the genus Tropiocolotes remain less than 10 centimeters in length. The largest species is Tropiocolotes levitoni with a SVL (snout-vent-length) of 45 millimeters, the smallest is Tropiocolotes scortecci which does not exceed a SVL of 30 millimeters. The tail is usually slightly shorter or longer than the SVL and females are 2-3 millimeters larger than males. All Tropiocolotes are built slim with a narrow head from the torso. 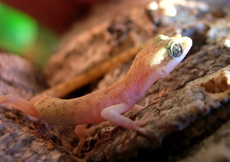 The limbs are thin, their toes have enlarged subdigital scales and claws. Tropiocolotes can drop their tail when threatened, which grows back within a short time. 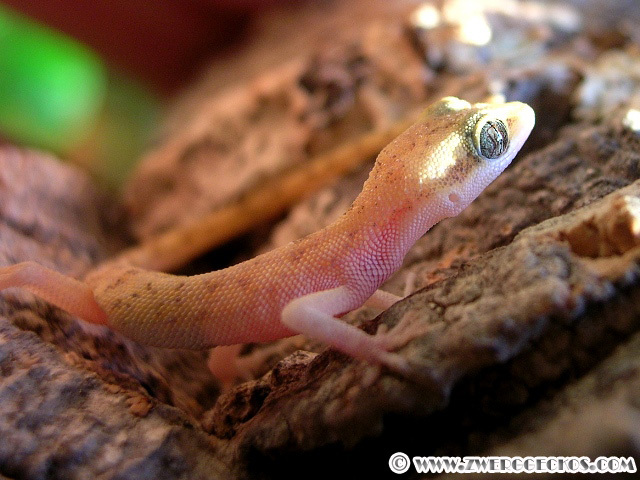 The body is covered with smooth or keeled scales. Many species show a more or less distinct horizontal bands on the back. 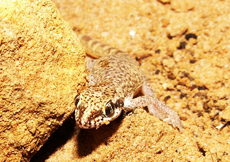 The pupils are slit-shaped, which distinguishes them as nocturnal. Tropiocolotes colonize throughout semi-arid to arid areas from sea level upwards in to mountainous areas. They inhabit both ground and vertical rock faces. By day they hide in underground tunnels or under stones and return only at night to forage from their lair. By slowly scanning the visual environment via a combination of still hunting and foraging enables them to capture small arthropods. Females lay a relatively large single egg at an interval of 4 - 6 weeks. 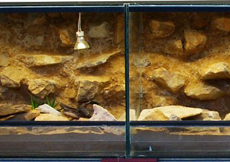 All geckos of the genus Tropiocolotes are interesting captives, due to their low aggressiveness, even in small tanks they do very well in groups (even with several males).